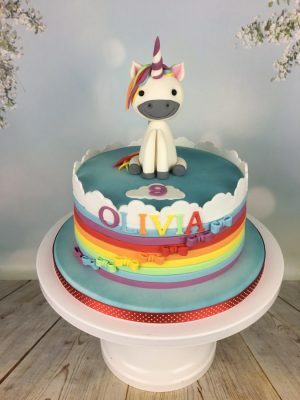 A fun, colourful cake for a lover of colour and Unicorns! 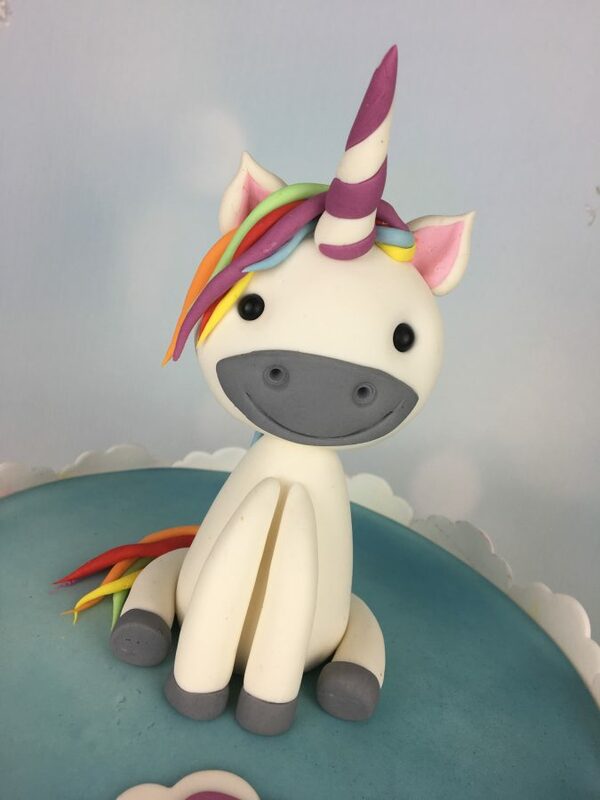 A colourful unicorn cake with clouds around the edges and ribbons giving a rainbow effect. 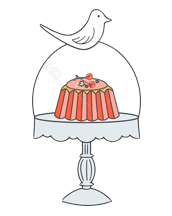 This 9″ cake will serve around 32 portions. This cake can also be made with other sizes/colours to suit your requirements. Please contact us for more information.